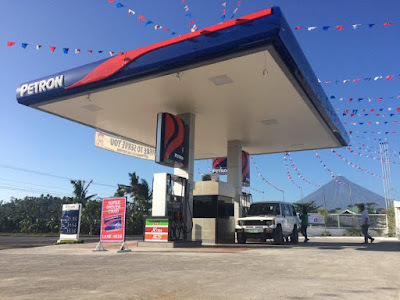 The country’s leading oil company Petron Corporation marked another breakthrough in fuels technology with the introduction of the Blaze 100 Euro 5 – the first Euro 5 standard fuel in the Philippines. This is an upgrade after the successful launch of a full range of locally-produced Euro 4 fuels almost a year ago. 4. Lower emissions and longer catalytic converter life. First introduced back in-late 2010, PETRON BLAZE 100 is the first and only gasoline in the country with a Research Octane Number (RON) of 100. With 100 octane, it has exceptional resistance to "engine knocking" that results in uneven fuel burn, greater fuel consumption, and even engine damage. Petron Corporation is the largest oil refining and marketing company in the Philippines and is a leading player in the Malaysian market. It has a combined refining capacity of 268,000 barrels-per-day and produces a full range of world-class fuels and petrochemicals. It has over 2,8oo service stations where it retails gasoline and diesel. Petron is dedicated and passionate about its vision to be the leading provider of total customer solutions in the energy sector and its derivative businesses.